Hallmark 2008 Keepsake Ornament "Horton hears a Who!" This ornament captures the story's message: "A person's a person, no matter how small." Dr. Seuss Books, 3 3/4" W.
Items Similar To "HORTON HEARS A WHO! 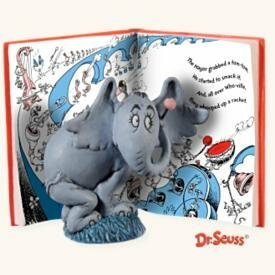 Hallmark 2008 Dr Seuss Christmas Ornament"